You can add a command to the favorite list. 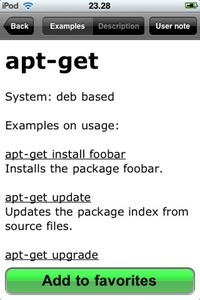 The front page of Command Guru for Linux. Easy access to different groups. Need to use the commandline? If you have an iPhone, this is the app to your help! 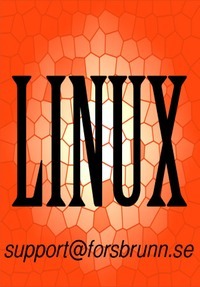 It contains examples and descriptions of more than 100 different Linux commands. Of course all information are stored offline, which means that it's in reach for you all the time. If you have some special usage of a command, it's also possible to store your own comments to the commands and also to add the commands to a favorite list for quick access. To the right are some screen shoots.